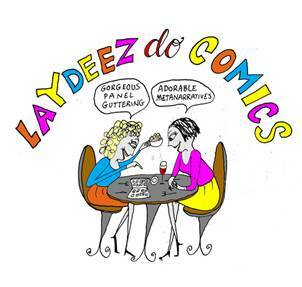 London-based Laydeez Do Comics is the first women-led graphic novel forum in the UK. Its focus is on comic works based on life narrative, the drama of the domestic and the everyday. Launched in July 2009 the group was set up by Nicola Streeten, the illustrator and author of graphic novel Billy, Me & You, and the artist and curator Sarah Lightman. Artists, academics, publishers and fans from around the world are invited to speak. It is a platform for people to test new works and ideas, where emerging artists present their work alongside more established practitioners. The evenings offer an inspiring experience in a social atmosphere for both those new to comics and those already immersed.